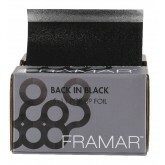 FRAMAR ALL JACKED UP SPRAY BOTTLE..
For use with pre-cut foils.. 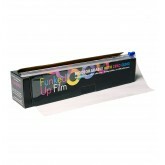 Pop ups save time! 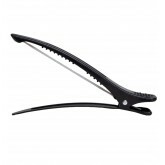 Easy fold with central crease for ultimate control. 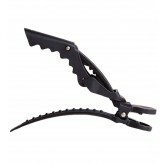 No Cutting, No Folding, No.. 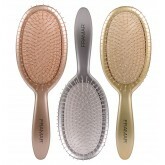 Disposable clear sheets that hang over your client's cape, protecting your clients, chairs & c..
Board & Paddle Set 2 Balayage Brushes Applicator Sponge Funked Up Film ..
Super Strong: The BIGGEST, BADDEST bite you’ll ever see on a clip! 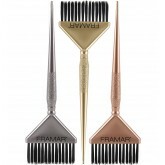 Serrated edge to dig in,..
Limited Edition Big Daddy brushes. 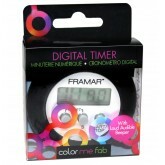 Incredible for quick color applications. 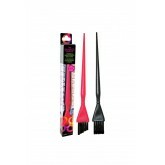 Holds more color for wid..
Two piece set (Peach & Black). 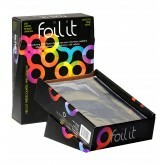 Fantastic for balayage and foil applications. 6” x.. 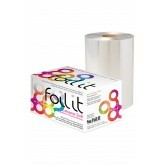 First-Class coloring gloves, rolled cuff lengthens 3” on the wrist to provide ulti..
For use with foil rolls only. 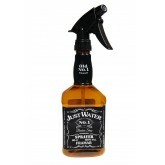 Our original dispenser, modified and perfected over the years. The wro.. 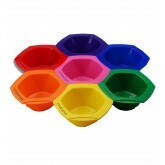 Allows you easy mobility with multiple color bowls. 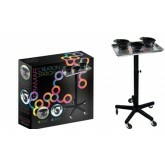 Move color bowls from one side of the salon to t..
Each bowl locks into the next, creating a stable surface so bowls will not tip! 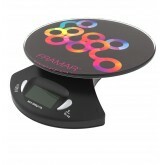 Amazing for vivids..
Stain & Heat Resistant aluminum tray top with Framar Logo. 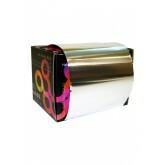 5 Rollerblade wheels ensure no deb.. 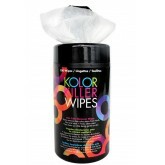 Disposable vinyl gloves are smooth with a powder-free finish, Color Me Fab latex-free vinyl gloves o..
2 Pack brush set specifically for detailing and balayage. 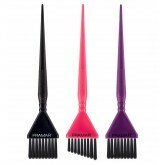 One Pink & one Black. 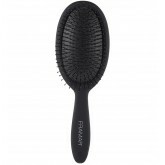 One straight ..
Effortlessly detangles the most stubborn of knots Works on wet or dry hair Fantastic for all hai..
Framar detangling brush detangles all hair types. 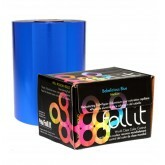 Includes 3 of each color (Black, Blue, Champagne)..
Times up to 99 minutes and 59 seconds large, easy-to-read numbers LOUD audible beeper Built in ..
500 sheets per box, Ethereal limited-edition print foils are embossed and ready to use! 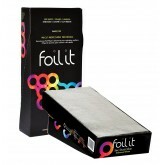 Each sheet i..
A smooth, incredibly soft feeling, that provides ultimate durability and consistency. Bend, mold and.. 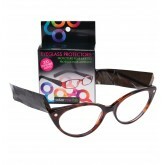 Protect your client's glasses while coloring their hair! No more stained frames!.. 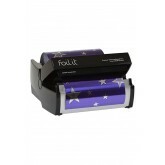 Fold Freak foil dispenser is the only dispenser that cuts AND folds your foil in one easy step! 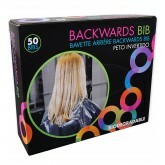 It'..
For use with color blocking and balayage techniques Perfect to protect each section of highlighte.. 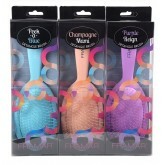 Easily removes hair color stains from hands, neck and face Fresh, clean scent Fast clean up whil..
5" wide. 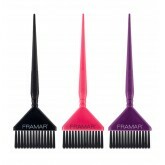 Comes in easy to use dispenser box with cutting blade, perfect for the busy color technicia.. 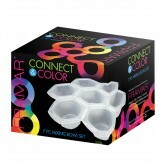 These pop ups slide out easy with an embossed finish. 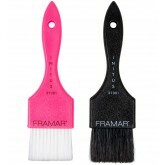 Size: 500 SheetsFeatures & Benefits: Th..
We are super excited to present Framar's Holi-Yay Kit! 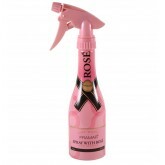 Within it, you will find all the hottest item..
Rosé themed water spray bottle, a sure conversation starter!.. 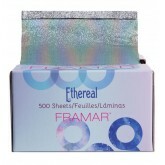 Framar Maniac Mesh Pre-Cut Mesh Sheets 50pk 6x11"
Color & lightener hugs the mesh strips, eliminating slippage Foil alternative that is saf..
Large Roll Medium - 5" wide, 1600' long Comes in easy to use dispenser box with cutting blade, perf..
5" wide, 320' long. 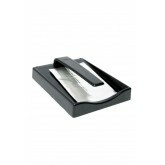 Comes in easy to use dispenser box with cutting blade. 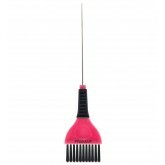 These smaller rolls are p..
• Color brush with metal pin tail• Works as two tools in one• Grip provides extreme e.. 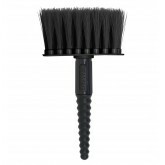 Ultimate Balayage Brush, incredible for hair painting. 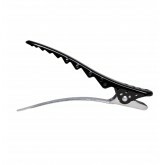 Faster application with bigger surface covera.. 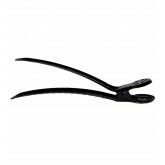 Extreme Soft Foil by Foil It is made with the absolute highest quality aluminum that the world has t..
Rubberized non-slip grip• Expandable middle section• Rustproof stainless springs for a tig..
Super soft bristles, helps dust stray hairs off clients necks. Black. 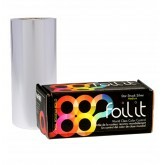 ..
Foil sheets pop out of the box for easy dispensing, guaranteed to save you time. 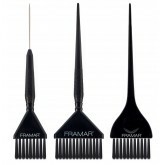 No cutting, no fold..
Super Strong, with the most precise clamp you’ll ever see on a clip Holds small or big sect..
3 Universal brush for most applications All 3 brushes come with amazing AccuSoft bristles! 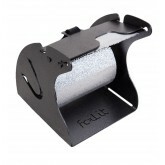 Long..
• Strong aluminum rollers, built to last• Comfortable soft touch grip• Get the most f..
Be a smooth operator with pre-cut smooth sheets. 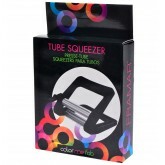 Comes in newly designed dispenser box. 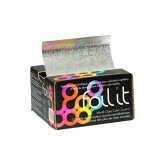 Tissue split..
Get a grip with pre-cut embossed sheets. Embossed for ultimate control and grip. 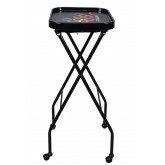 Comes in newly desi..